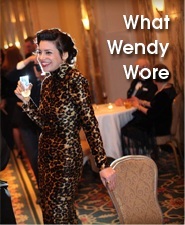 To bring 2017 to a close, I’m taking a look back at 12 “What Wendy Wore” highlights, with an emphasis on slow fashion. Click the photos for the original posts. 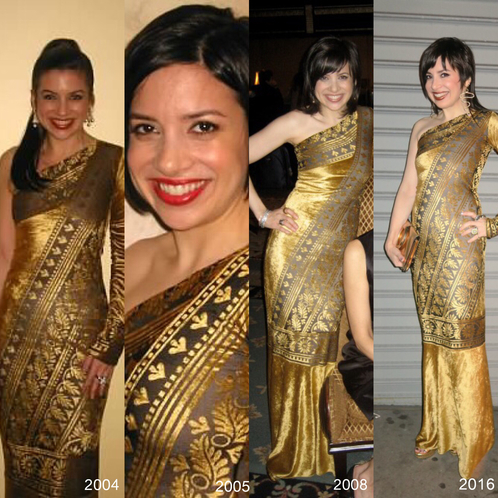 January began with all gold everything, as I rang in 2017 in a gold gown first worn in 2004. This time, I added a crown. Jan. 1, 2017. This dress was vintage when I got it 13 years ago. Vintage was my choice for the Vanity Fair Oscar party in February. Vanity Fair’s longtime editor and party host extraordinaire, Graydon Carter, stepped down this month, so it was his last party … and maybe mine too! I’m glad I got to go as many times as I did. It was always like stepping into a fantasy world, where everyone was a celebrity except me. 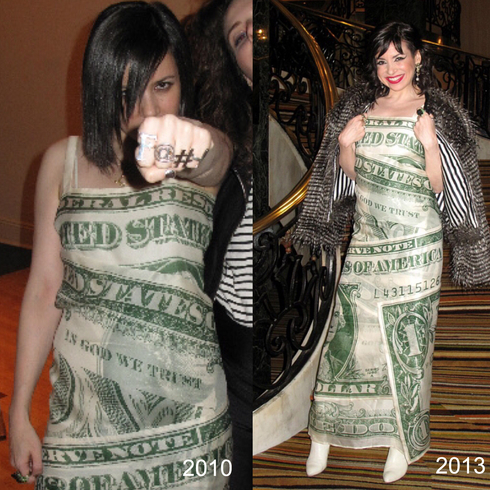 In case this was my grand finale, I’m glad that I dared myself to wear one of my craziest dresses. I’d worn my 1991 Christian Francis Roth dress before, but not to a next-level event like Vanity Fair. Feb. 26, 2017. Hey, remember the “Cash me ousside” girl? I use the term “homegrown vintage” for clothes that I buy new in their original retail season and then keep for 10 years or more. The Dolce & Gabbana sweater I wore for a March pop-up shop is homegrown vintage. I got it between 2000 and 2005. March 2017. I got the leather skirt by YSL at a consignment store. Once in a while, someone asks me if I ever wear anything but gowns! In reality, I spend most days in jeans and a black t-shirt. 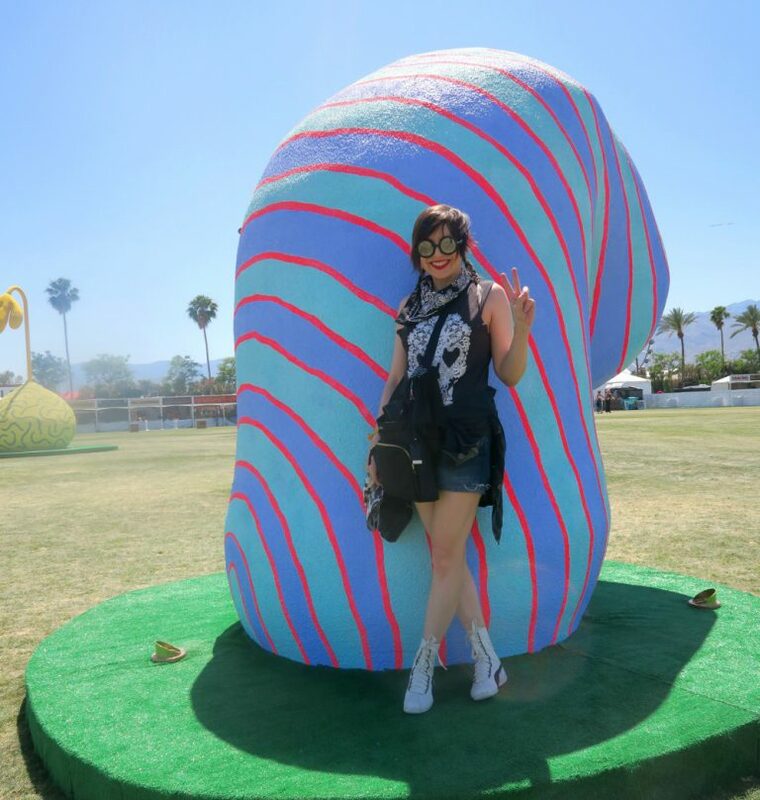 If it’s hot, I switch the jeans to my Current/Elliott denim shorts, like I did at Coachella in April. April 2017. 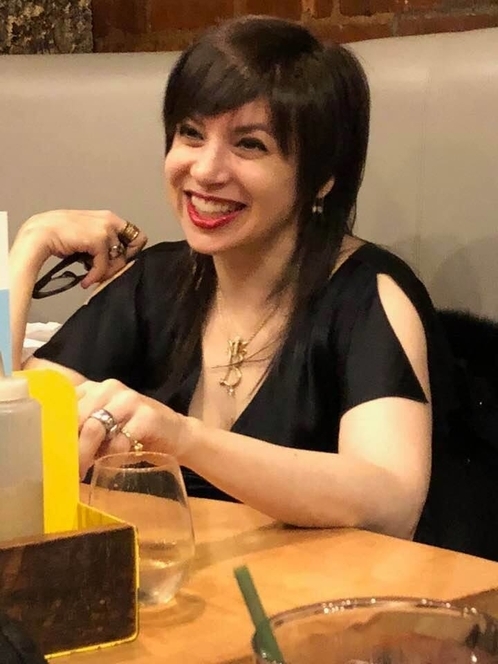 Photo by my music-loving friend Jessie. 2014. These shorts aren’t very old, but they’ve gotten a lot of wear. MrB received an award from the Reporters Committee for Freedom of the Press at the organization’s annual dinner in May. I wore a vintage Ossie Clark dress. May 2017. The late Ossie Clark is one of my all-time favorite designers. May 2006. This style was originally a maxi dress. Click to see how it looked before it was hemmed. 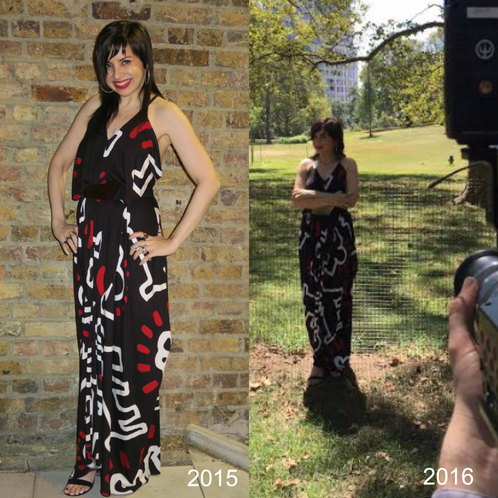 This June, I wore a 2015 G-Lish top from Patricia Field with 2013 Castelbajac shorts and 2011 Prada shoes while I was in Paris. August 2015. Different Prada shoes are from 2010. July 2017. What a thrilling night! 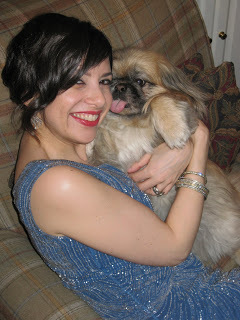 In 2009, the late, great Gigi the dog thought I looked delicious! November 2013. Accessorized with party favors. I find it hard to believe I wore this Stephen Sprouse jacket with jeans and boots in August in New York, but the photo claims that is the correct date, plus we did have some cooler days that month. I also “rapped” for a YouTube video in which I talked about Sprouse so I suppose it was a month full of weird happenings. August 2017? Really? I guess so! The jacket didn’t fade! I’ve just had some crazy lighting issues. 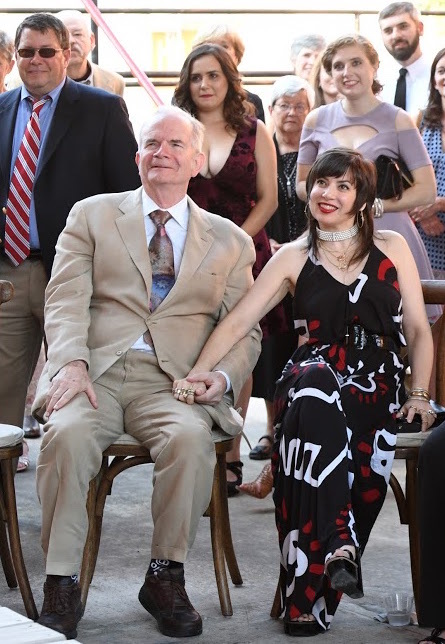 In September, I donned my trusty Patricia Field maxi dress for my right-hand woman Eryn’s wedding. I got the dress in 2015, when I learned that the iconic Pat Field store was closing. I got several other pieces at the same time, all of which I was more excited for, and wouldn’t you know it? I’ve worn this dress far more than anything else I got that day. I’m always happy to shop my closet for Halloween, which is how a pre-2005 Alexander McQueen skirt became part of my Nirvana cheerleader outfit this October. Both photos from 2012. The boots on the left didn’t work with the rest of the look! MrB was honored at the Poynter Institute’s Bowtie Ball in Tampa, Fla., in November, so I had a chance to wear this Castelbajac dress from 2013. November 2017. I didn’t get to wear this dress this summer, so it was nice to have the opportunity. But the zenith of my slow-fashion year fell on December 23, my 50th birthday. First, I had an early, casual dinner suitable for my parents, niece, and nephew. For that, I wore a top that I think is from the late 1990s. I used to wear it under suit jackets during my pre-2005 corporate days, and I haven’t worn it much since. In fact, I thought of getting rid of it multiple time, but it suddenly feels brand-new to me. This isn’t the kind of thing I would have taken photos of back in the pre-blogging days. After that, I gathered up my late-night peeps and went to Le Poisson Rouge for a midnight show by ’80s cover band Jessie’s Girl. The Versace dress I wore is double vintage. It is from a 1990s collection, and I bought it in 2007. The motorcycle jacket is homegrown vintage. I got it in the 1980s, while I was in high school. Jacket: Original 1980s acquisition from Bloomingdale’s, if I remember correctly. I was so glad I could still stuff myself into that dress, because I wore it for my last big birthday (which I celebrated on New Year’s Eve that year). 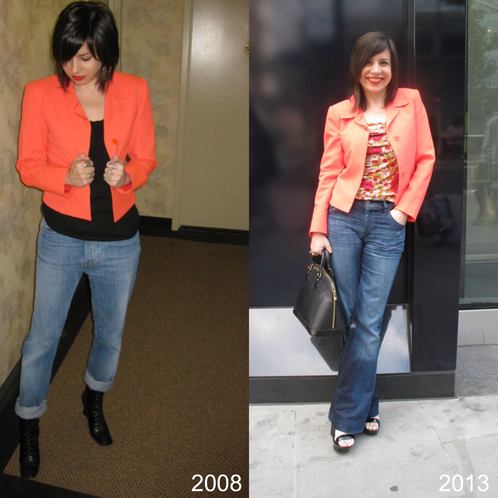 You know I love to do those “10 years later” outfit posts. Dec. 31, 2007. Accessorized with a faux-ny tail. 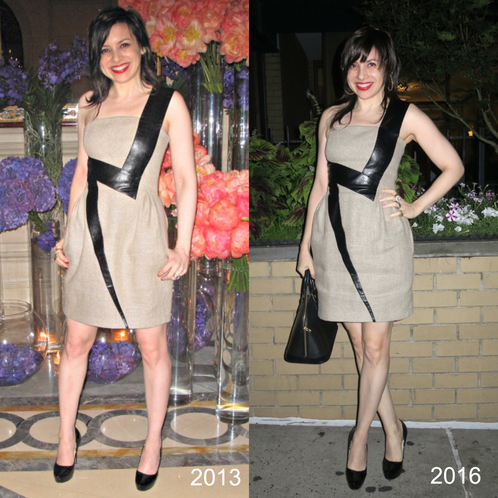 I also wore the dress for my birthday/New Year’s Eve party in 2014. 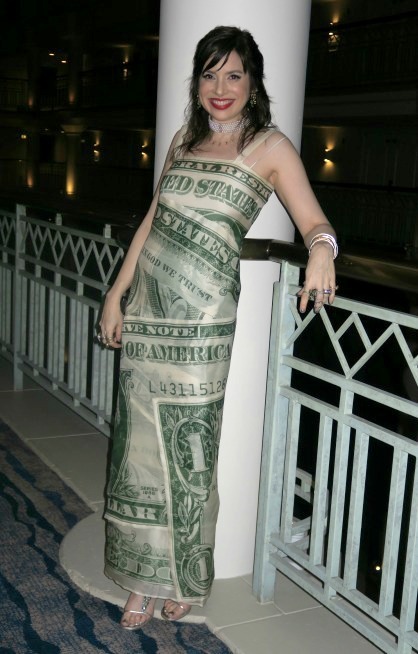 This dress is exceptionally well-documented because I have a photo of me trying it on at Decades in Los Angeles in 2007. That’s the handsome Cameron Silver of Decades holding onto the dress in the back to show me how it would look once it was taken in! Believe it or not, I almost didn’t buy this dress in 2007 because I thought it was “too young” for me then. 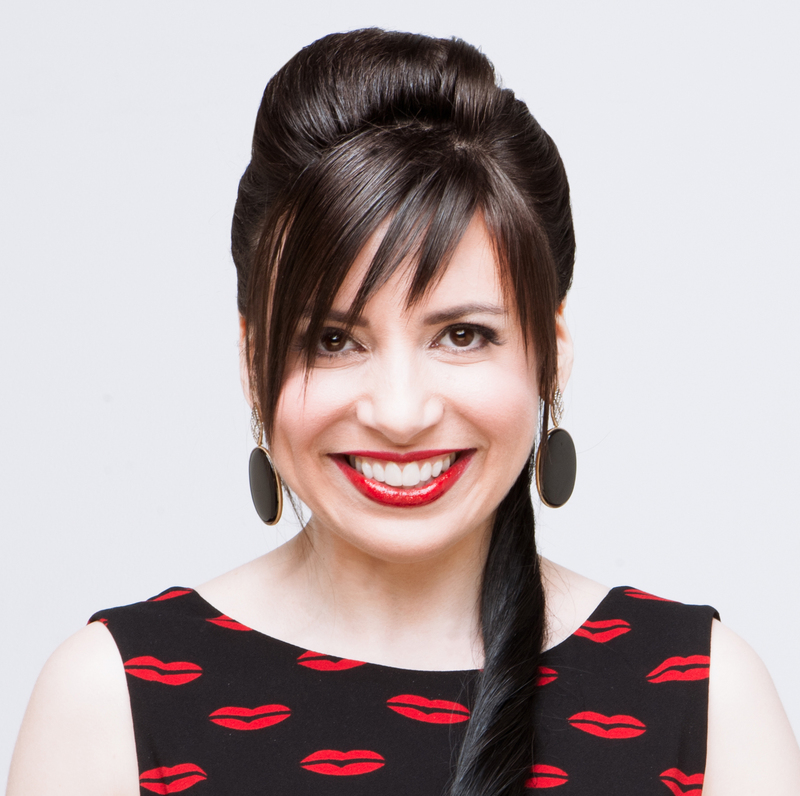 If you started reading me in 2007 — the year I started this blog — you might remember that my original blog motto was “Wear What You Want.” At least I’m still taking my own advice, right? Whatever you do tonight (and whatever you wear), I wish you all a happy and healthy New Year! 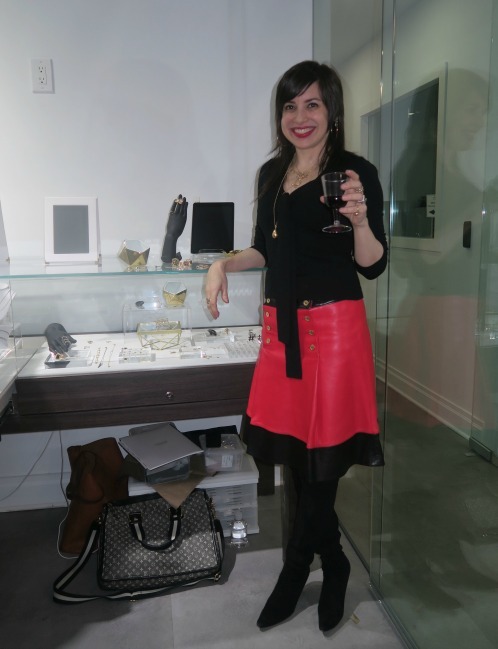 A fabulous retrospective of your homegrown vintage pieces – you have been a constant inspiration to shop my own closet, and to also look for very high-end designer (quality!) when I shop. Again, a happy birthday, Wendy! Looking fab, my dear! Thank you! I want you to take my thrifting some day! You have such a good eye! You have very keen eyes in fashion… I can’t believe you have never outgrown your clothes. 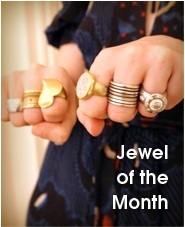 Beautiful pieces you have there!